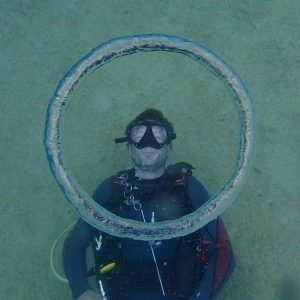 Hello everyone, my name is Dan and I’ve just joined the Seaventures Dive Team as an Instructor. I left my job in the UK in 2009 after 10 years as a welder/metal fabricator. 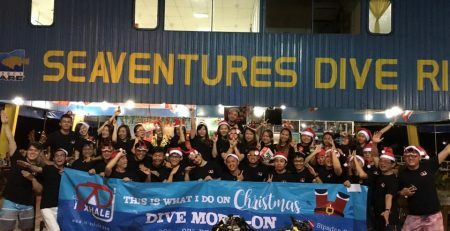 My scuba diving adventure started when I first went to Mexico and completed my AOW and Rescue courses, and, not quite ready to go home, I came to Sabah where I did my Divemaster course. Shortly after, it followed by the PADI Instructor course. 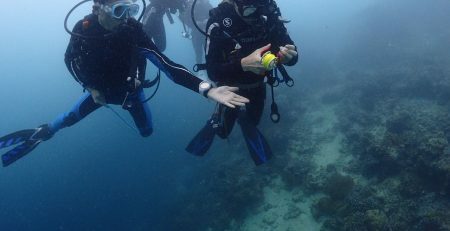 I am now a PADI Staff Instructor which means that in addition to teaching all of the PADI recreational, and some specialty courses, I can help train new instructor candidates. I have since been in Sabah, Malaysia for 8 years. I love the country, the food, the people and of course the diving. I also am really enjoying my time so far on the rig as a Rig Crew. It’s definitely the most unique dive resort I have ever been on! The diving is really diverse – from awesome macro around Mabul and the Seaventures house reef, to the many sharks and turtles of Sipadan. It really is a diver’s paradise. It’s been great getting to know and learn from my new colleagues – they’re great people to work and live with, and have a wealth of underwater experience. I love teaching diving. I like to take my time with students and help them learn at their own pace. 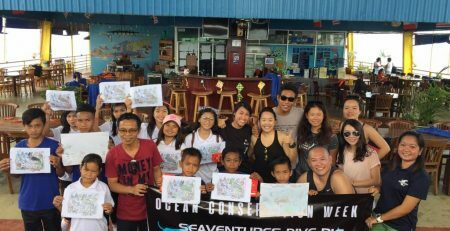 I pride myself on giving new divers the skills to dive safely and responsibly and also to make sure they have fun and keep diving. As for myself, if I am diving for fun you will definitely see me with a camera in hand and i will hopefully be getting lots of cool pictures during my time here. I’m also starting to become interested in night photography and am discovering how awesome the views of the night sky is from the rig. With very little light pollution, and often clear nights, the night time views are awesome. It’s been a busy and awesome first month, but I am blown away by the diving and the friendliness of my colleagues on the rig. I look forward to meeting as many of you Rig divers, during my time here.